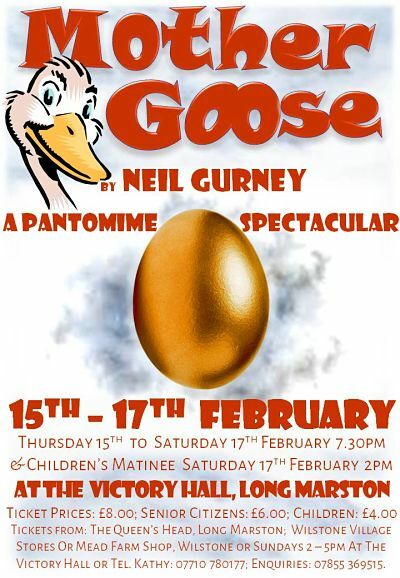 Once again, its time for the local population to join in the fun at this years Long Marston village Pantomime! Great fun for all the family, this year we have a floral theme with vegetables flying all over the stage. With 2 heartless baddies controlled by a fearful giant, will Jack and his friends be able to rescue the princess and save the day? 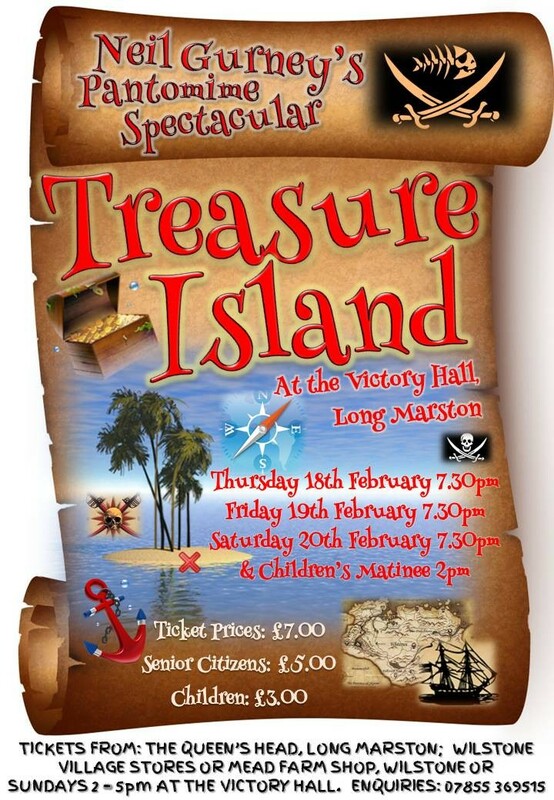 Being staged during the half term holiday (19th-21st February), a fun night out for all the family is promised. 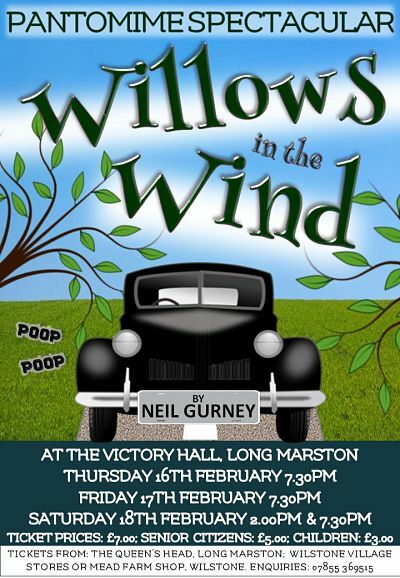 Tickets priced at £7 (adult) £5 (OAP) & £3 (Child) can be bought from the Queens Head in Long Marston, Meads Farm Shop and the community shop in Wilstone. We will also be selling them every Sunday from Long Marston Victory Hall.